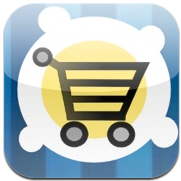 Shop Until You Drop (Application) — Mobers.ORG — Your Daily Source For Mobile FUN! Learn to Become a Mystery Shopper. Great Mystery Shopping Tools such as A Free List of Mystery Shopping Companies, A quick way to take appointments, Take notes and pictures of products, Read QR and barcodes directly from this app. Also, Popular Questions & Answers about getting started as a Mystery Shopper, Plus a bonus brief Video about the World of Mystery Shopping.If you're in a hurry, you can directly add events and appointments on this app. Very Pratical & Useful app for Regular Consumers.Have Fun while shopping at your favorite store.